As of today’s date, Google makes it possible for you to brand your Google+ pages for your business. You could just work with the small, basic profile picture, but a few minutes spent adding extra polish will impress both your clients and their customers. 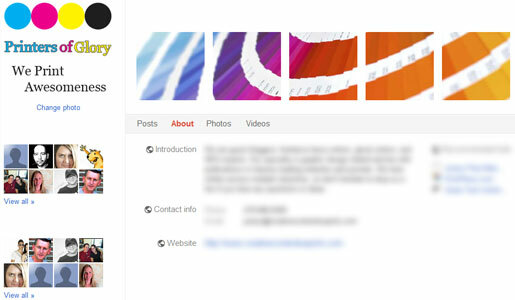 So, I made a template to help designers build branded Google+ profiles quickly and easily. Below, I’ll show you how to use the template to get your Google+ page branded in no time. 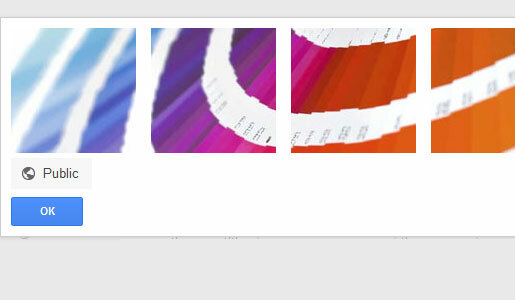 The tech specs are as follows: the images across the top of the Google+ profile are 125px by 125px. The space between the images across the top is 15px. The main profile picture is 200px by 200px. You can download the template here: Template PSD (zipped). 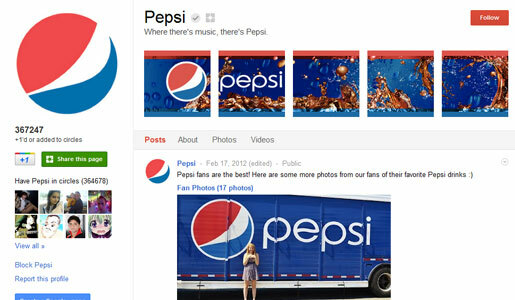 Before we get started, however, here are a few examples of how brands are taking advantage of the photo array in their profile. Unlike Facebook, Google+ allows you to assign which uploaded photos you want to feature – meaning they don’t automatically change or update when you upload new photos to your profile. 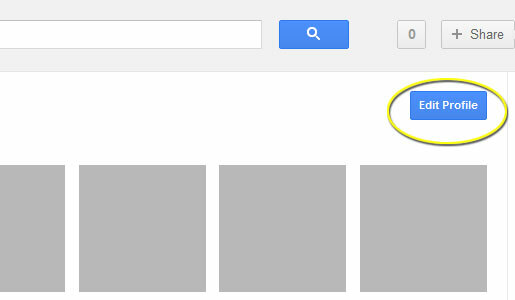 You don’t necessarily have to split a large graphic into five smaller images at the top of your Google+ profile. Some companies are just putting colored squares, but you have to be careful. In the design below, the five images look like functional buttons and could confuse the viewer. 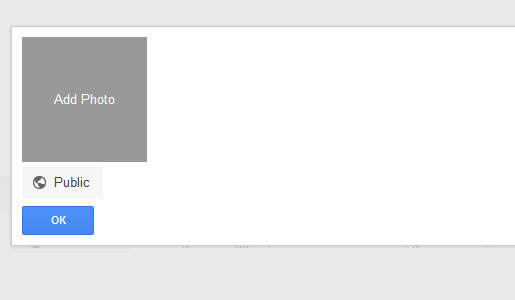 So, I recommend sticking with a large, segmented image or series of images that are clearly not buttons or navigational elements. Image to be used across the top of the Google+ profile. Some of this design work may be obvious, but I’ll describe the complete process for beginners. First, open up the template. 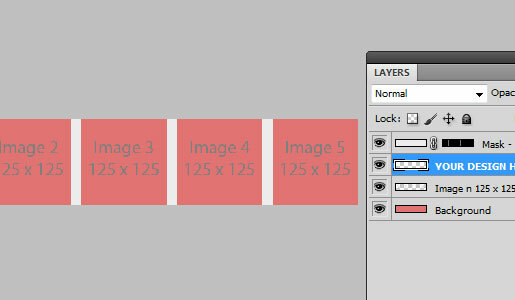 I have four layers in place, one of which is for your own imagery. You can hide any part of the layered template if needed. 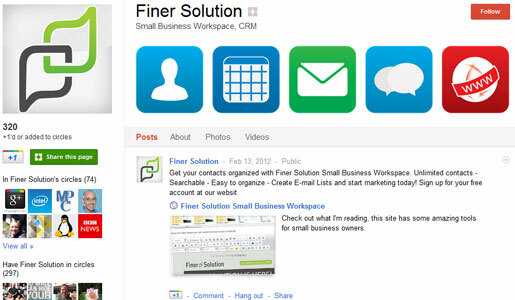 The placeholder graphics will help you plan your image placement on your Google+ page. I made the dividing lines light gray instead of white because I was testing with a white logo initially. 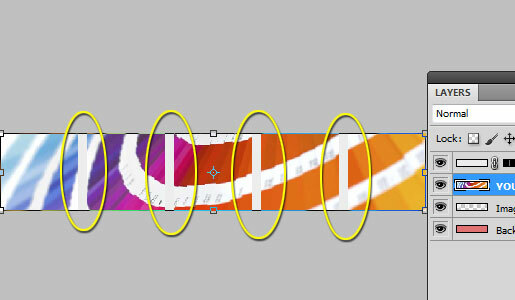 Using the example above, I placed my graphic in the “YOUR DESIGN HERE” layer (of course). You can see where the dividing spaces between the images on your profile are going to cause visual gaps in your design. 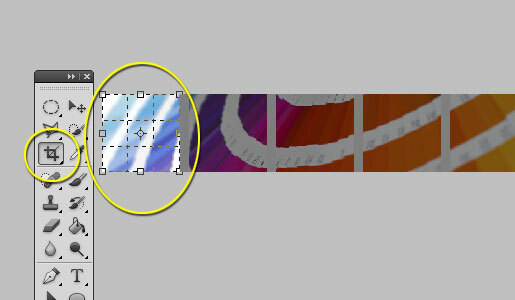 Grab your Crop Tool, hold down shift to make your crop a perfect square, and select the first section of the graphic. Save that selection to a file name that will help you remember the order. Consider including the brand in the file name. Printers-of-glory01.jpg, printers-of-glory02.jpg, etc. worked for me. Repeat this step for each of the five images. You may have noticed how hard it is to find the link to manage your Google+ page after you’ve created it. I have a link I keep in my bookmarks that helps me get to the Google+ page management interface quickly: Manage Google+ Pages. Once to your page, click the “Profile” button at the top. 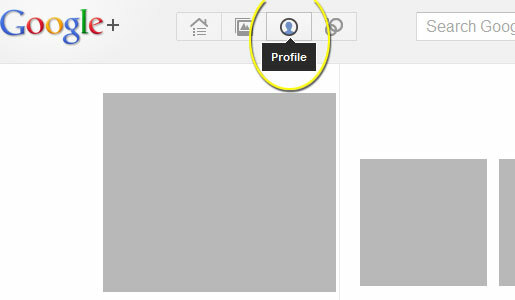 You now should be able to edit your profile, including profile images, by clicking the “Edit Profile” button along the top-right. Click on the area of the page where the five header images will go, and Google will prompt you with a menu that allows you to start adding your photos. Definitely make sure you keep the images set to “Public” so that anyone who views your page will see these across the top. Add each graphic, one at a time, until you’ve got all five images in place. Hit OK and you’re all set! What did I miss? 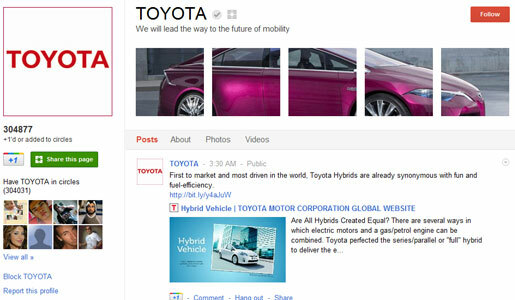 Any other ways you can brand your Google+ page for your business? 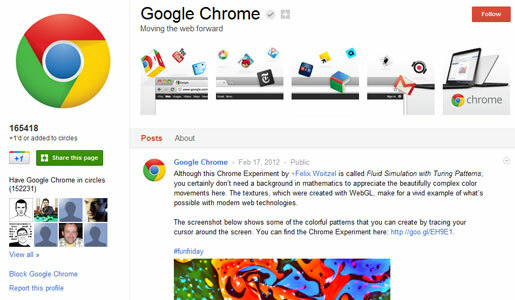 Have you found any examples of impressive Google+ profile designs?